The governor had cast the decision to give Florida relief from offshore drilling as a spontaneous triumph. arranged news conference at the Tallahassee airport as unplanned and the Trump administration’s decision as something Scott had influenced at the eleventh hour. In fact, Zinke’s top advance staffer, whose job it is to plan ahead for such events, was in Tallahassee the previous day. And top officials from the offices of both Scott and the secretary were in regular contact for several days leading up to the announcement, according to more than 1,200 documents reviewed by POLITICO Florida as part of a public records request. The documents, which include phone records, text messages, and emails, contradict the supposed spontaneous event that portrayed Scott as single-handedly securing a politically popular win for Florida’s environmental future only days after the administration had spelled out a controversial new national five-year plan to boost offshore oil drilling. 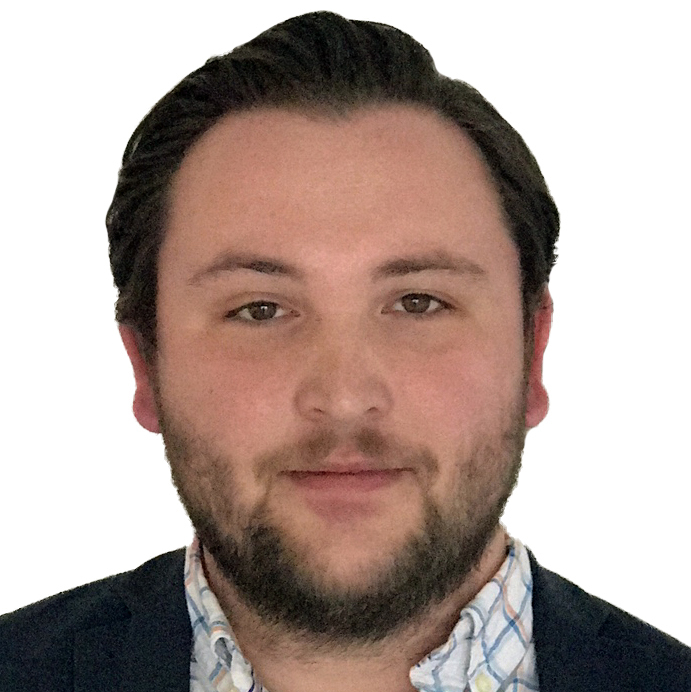 The event left Scott, at least for the moment, with a big victory to hold over Sen. Bill Nelson (D-Fla.), whom the term-limited Scott is almost assuredly challenging in 2018. The records reaffirm the perception at the time that the Trump administration’s decision to reverse course and remove Florida from the list was carefully choreographed to give Scott a political win in his widely expected challenge this year to unseat Nelson. “Whatever Rick needs, they [Trump administration] will do. There will be net more offshore drilling, but the governor will get what he needs,” one Republican who spoke directly with Zinke told POLITICO at the time, a prediction that came true. It will “be a big win, and it won’t be Bill Nelson bringing it home,” the Republican added. Turns out all the optics were orchestrated long before that January day. Zinke press secretary Heather Swift told POLITICO Florida Monday that “the governor’s staff was certainly aware that the secretary was traveling to Florida at the governor’s request,” but Scott’s office — at the time — gave no indication the meeting and oil drilling deal had been hashed out prior to the Jan. 9 airport meeting. Scott’s office did not include the meeting on his original public schedule, which is released each morning. The event was sent out as part of an amended calendar around 4:50 p.m. on January 9, about an hour before the event. Around the same time, Scott’s office began telling reporters to get to the airport, but there was no notice prior to the amended statement and calls from staff. There was an absolute feeling in Florida political circles at the time that the announcement came out of nowhere. The decision to give no public notice was done despite Zinke’s staff being already in Tallahassee to help coordinate the event: “Even the shortest trips require a lot of coordination and planning,” Swift said. 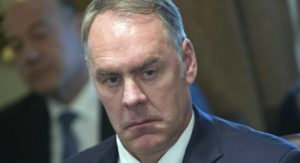 Scott spokesman McKinley Lewis said Monday Scott wanted the meeting with Zinke to “express his strong opposition to drilling off Florida’s coast,” but did not discuss the public perception that the meeting was not planned. 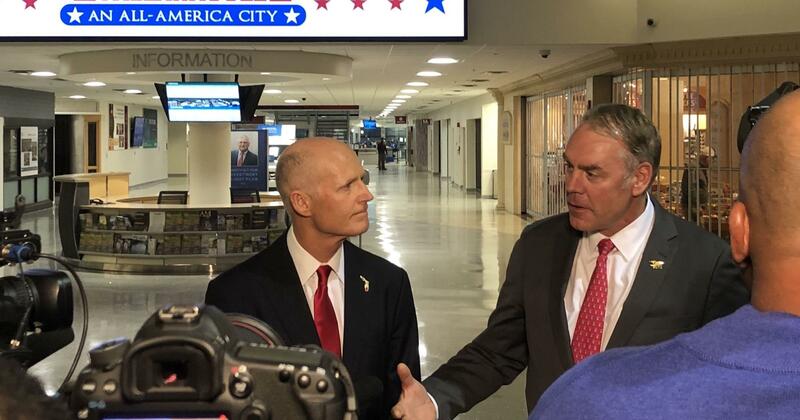 “Governor Scott was glad to have the opportunity to quickly meet with Secretary Zinke and get commitment from him in that meeting to take Florida off the table for future off shore drilling,” Lewis said. He downplayed the idea that keeping the event off the governor’s schedule led to it appearing to have been spontaneous. Records clearly show Rusty Roddy, Zinke’s former advance staffer, was in Tallahassee ahead of the Jan. 9 event helping coordinate with Scott’s staff. Roddy, who is no longer with Zinke’s office, acknowledged that the event was “planned” and that he was in Tallahassee prior to the airport meeting. Additional records further confirm the “off the table” airport event was not as hastily thrown together as it then seemed publicly. In emails, Roddy indicated he was planning to be in Florida before the event as early as Friday, Jan. 5, a day after Zinke announced Florida was on the oil drilling list, and days before the Jan. 9 airport event, which officials said was not planned. “Look forward to seeing you guys Monday,” he said in a Jan. 5 email to Jackie Schutz Zeckman, Scott’s former chief of staff. She resigned Monday and is likely to join Scott’s Senate campaign. The way Scott’s office framed the Zinke trip helped downplay the perception of political gamesmanship from the announcement. Scott’s office maintains that 2018 politics had no role in the process, a sentiment they stressed in January. Records show that between the Jan. 4 announcement that Florida could see additional oil drilling rigs off its shore and the Jan. 9 meeting where the state was taken “off the table,” Carbone spoke with Roddy, the Zinke advance staffer, 17 times, while Schutz Zeckman spoke with Kate MacGregor, who at the time was acting assistant secretary of Land and Minerals Management, seven times. MacGregor was the point person for much of the discussions, and traveled with Zinke for the Tallahassee rollout, records show. The records show a general uptick in Scott administration contact with the Interior Department officials in the months leading up to the oil drilling announcements. Those increased conversations were something Scott talked about at the time, as he said he was lobbying to keep Florida off any oil drilling lists. There were at least 60 calls Carbone and Schutz Zeckman had over the last three months of October with Interior officials. Prior to October, Scott’s office and the Interior Department had discussions about various policy issues, but the discussions became much more frequent as the oil drilling announcements approached. Nelson, Democrats and other Scott opponents always saw political motivations in the quick about-face by the Trump administration toward Florida. Scott was one of Trump’s earliest political supporters, and is the current chairman of a pro-Trump super PAC. Scott now opposes offshore oil drilling, and he immediately tweeted opposition to Trump’s oil drilling plan when it was first announced in early January. That garnered him a “full flop“ from PolitiFact Florida earlier this year. His stance also opened a brief rift between the two political pals, but his past statements are not likely to go away headed into the mid-term elections.